Sometimes, all you want is to appear in some kind of fairy tale cartoon, turning into one of its characters. Today I want you to have a look through this compilation of Disney character inspired outfits. 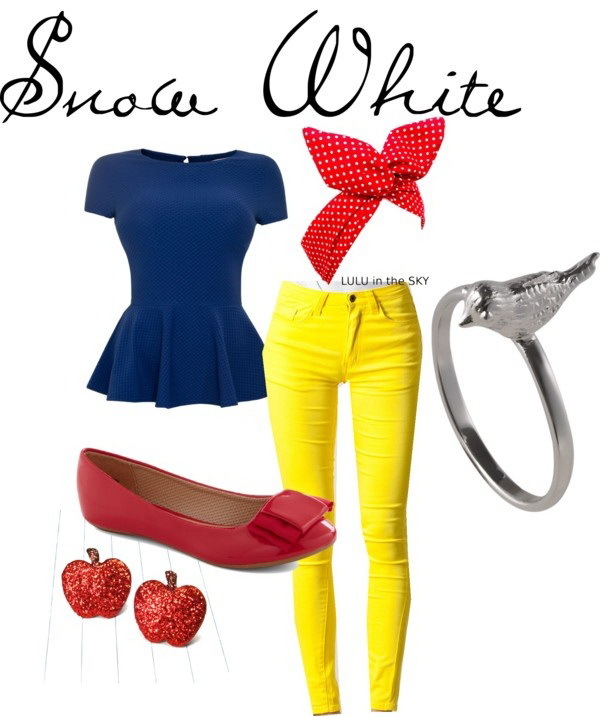 I came across Disney inspired fashion looks ideal for high-schools, colleges, as well as for Halloweens. If you are a Disney lover, then I am pretty sure you will fall in love with every single outfit of this post. You are going to find practical styles inspired by classic Disney cartoon characters, including Snow White, Anastasia, Cinderella, Ariel, Jasmine (Aladdin), Mulan, Rapunzel. What you think of these outfits? Would you try one of these ensembles as your next week look? Tell me in comments. Hi, on a previous post about boho chic outfits, I left a question about picture number 7 on a kimono. I clicked on the link but the kimono wasn’t there, please reply I can’t find it anywhere! I absolutely love the Disney outfits! You have great taste!! Unfortunately I was not able to find any of the items on the provided link. Can you tell me where I might find them? Thank you!! !